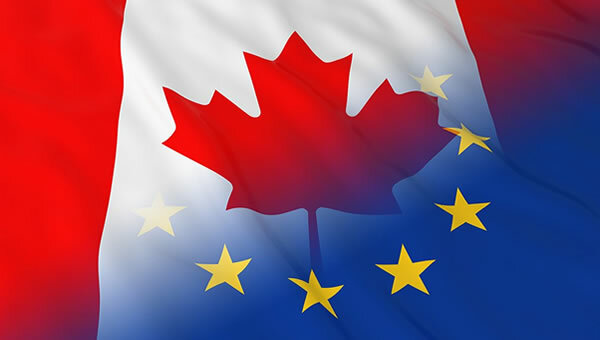 On the 15th of February, the European Parliament ratified the ‘Comprehensive Economic Trade Agreement’ (CETA) between the European Union and Canada. The agreement is still subject to approval by national governments, however the benefits of the agreement can already be capitalised upon. In total, the agreement will remove 98% of the trade tariffs between the Union’s member states and Canada. Ireland’s trade with Canada is of significant value to the national economy as the statistics below demonstrate. 616: The number of Irish companies that export to Canada. 25,000: The number of jobs in Ireland that EU exports to Canada help support. €2 billion + per annum: The value of Irish exports to Canada. €516 billion: The value of Canada’s public procurement market. The ratification of CETA presents an opportunity to Geoscience Ireland’s Member Companies to pursue business opportunities in Canada. On a very basic level, the Canadian public procurement market will become more accessible as the Canadian government is in the process of developing a single procurement portal which will centralise notices issued by federal, provincial and municipal buyers. In addition, the provisions of the agreement are geared toward removing barriers around the movement of skilled labour which will enhance the ability of member companies to send staff to collaborate on projects on short to medium term basis. The opportunities presented by the Canadian market are actively explored by Geoscience Ireland team through contacts with the Canadian government, the Ireland Canada Business Association and Enterprise Ireland as well as through contacts within the mining and geotechnical sectors. GI is a key participant in the forthcoming Prospectors and Developers Association of Canada (PDAC) Convention and Trade Show in Toronto in early March. If you have any queries on the implications of CETA or are interested in entering the Canadian market as a prime or subcontractor then don’t hesitate to contact the GI team.